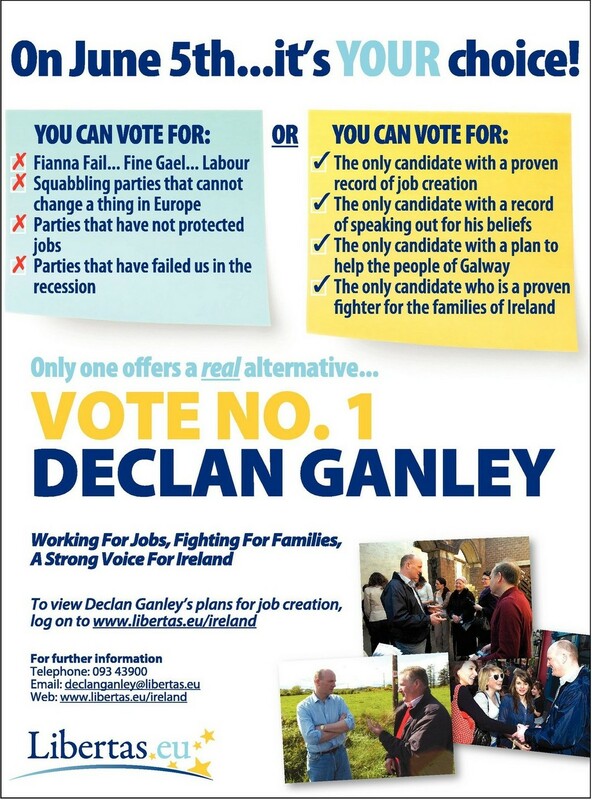 From the 2009 European Elections an Ad for Libertas candidate in Ireland North West Declan Ganley. Ganley polled 67,638 votes and missed out on the final seat. 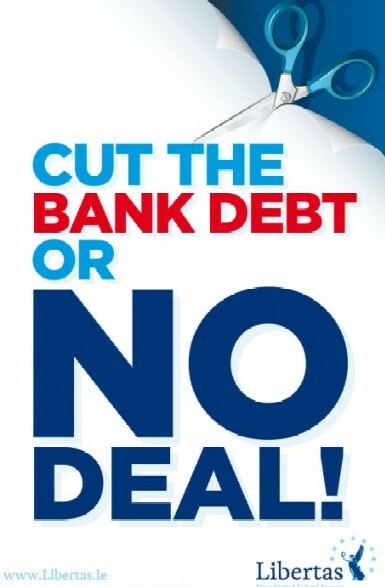 From the Fiscal Treaty Referendum a “Cut the Bank Debt or No Deal!” and the ball and Chain No Posters from Libertas. 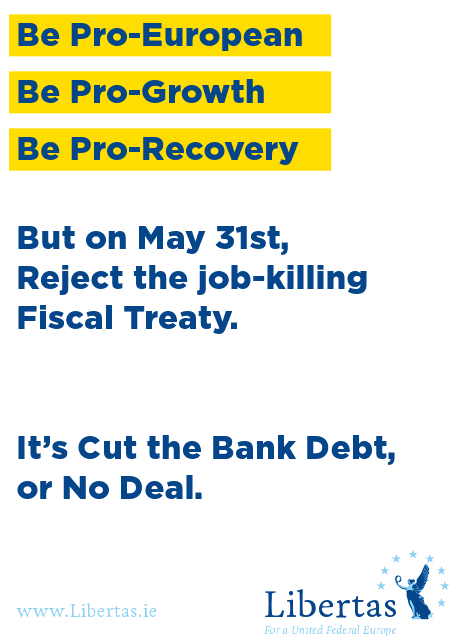 From the 2009 European Elections a leaflet from Libertas leader Declan Ganley who was running in the North West Constituency. Ganley polled 67,638 votes and missed out on a seat. 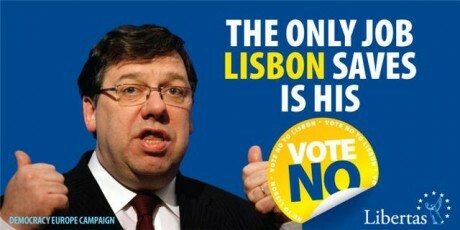 A selection of Libertas posters from the first and second Lisbon Referenda. 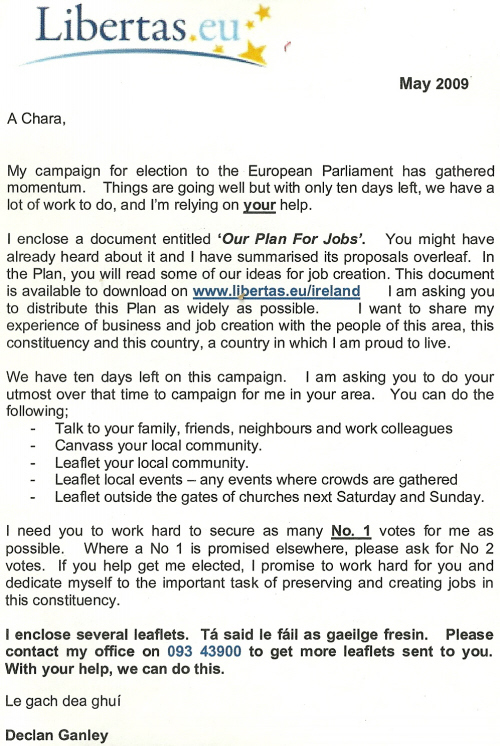 From the 2009 European Elections a letter sent by Declan Ganley to Canvassers. It focuses on the last 10 days of the campaign and also The Libertas Plan for Jobs (I’ve posted that already HERE).